The first season of Siren starts on Saturday 16 February at 20:50, featuring a fascinatingly eerie take on these underwater creatures. 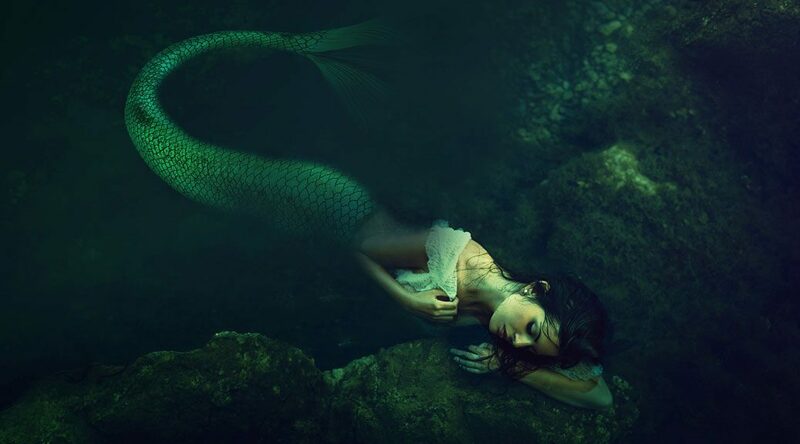 Before we head under the sea, let’s take a look at mermaids we’ve met before. In the fourth instalment of the popular fantasy franchise, Harry finds himself unwillingly entered into the Triwizard Tournament. One of the tournament tasks involves rescuing loved ones from under a lake, where they’re being held by some pretty creepy looking merpeople. Their croaky voices are reminiscent of Gollum, so they’re not much to listen to either. If you’ve seen these mermaids, you can consider yourself prepared for the darker twist to Siren’s tale…or should that be tail? Neverland is full of magical creatures in this slightly different take on the play Peter Pan. But it’s not without its dangers: like being made to walk off the plank of a pirate’s ship – which is just what happens to Robin Williams’ Peter Banning. Luckily, there’s a host of beautiful mermaids to give him the breath of life. If Disney’s Ariel is your mermaid prototype, then these mermaids’ appearance – with multicoloured hair and tales and plenty of glitter – will give you what you expect. Speaking of Ariel, no mermaid list would be complete without her. As one of the few non-human Disney princesses, and one of the few red-haired ones, she’s exceptionally memorable. Helped along by enchanting scenes under the sea, great tunes, and even greater sidekicks, you can’t help being disappointed that finding her prince meant leaving the magical world of wonder she used to inhabit. In Disney’s earlier rendition of J.M. Barrie’s play, Peter and Wendy come upon a whole group of mermaids splashing about. Accessorised with shells and starfish, they’re certainly pretty but we’re not at all fond of them because they’re vain, jealous, and mean to Wendy. This is literally a fish out of water tale as mermaid Madison, played by Daryl Hannah, tries to adjust to life on dry land. Full of hysterical encounters and more than a little love, it’s a rom-com romp that also comes with an unexpected but satisfying twist at the tail end of the story. Watch more mermaids in Siren Season 1 every Saturday at 20:50, starting 16 February, on M-Net City channel 115.